Zagster’s Senior Market Manager, Karl Alexander says the company is pleased with the growth they’ve seen with the program since it began. He says last year, they saw more than 50-thousand trips taken on their bikes, which compares very favorably to other markets. 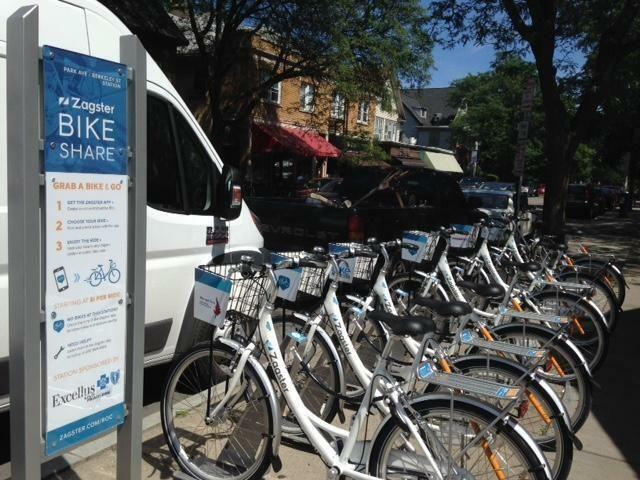 There was an issue that came up with missing or stolen bikes last year, but Alexander says they have implemented changes in their systems and technology that should greatly reduce that problem. He says one of the focuses this year will be to get more people signing up for annual memberships. "What we’re looking to grow upon is our annual or recurring rider base," Alexander told WXXI News. We’ve given people a taste in the first couple of years and we’re really going to be working on a message of wellness in your back pocket and being able to ride at the touch of a button; that’s going to be a really strong focus that we’re going to put forward." The rates have changed for some of Zagster’s offerings; the pay-as-you-go is now $1 for 15 minutes. That’s down from the previous duration of a half-hour, but it is in line with what the company says is the average time for a bike ride with this kind of service. An annual membership for unlimited 30-minute rides is $60 for the year, or $30 for students, veterans, active military, seniors, and EBT card holders. Chief of Staff for the City of Rochester, Alex Yudelson, says Zagster is an important piece of the local transportation network. “We see biking in the city not just as a recreational activity but a real alternate transportation method that can be cheap for our residents, (both) poor and more well-off,” Yudelson said. The new Zagster season starts on April 1.